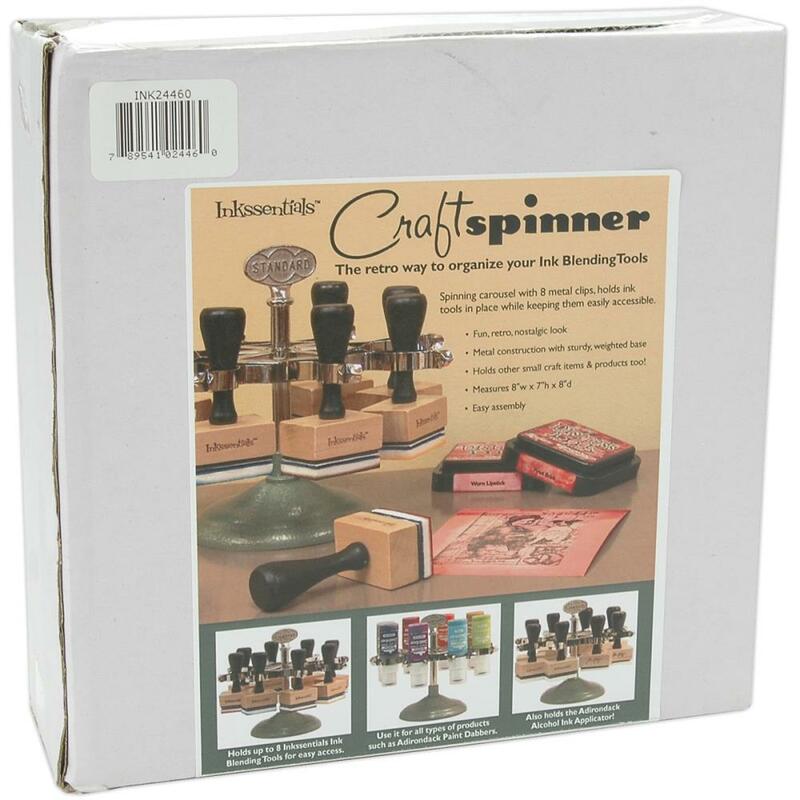 RANGER-Inkssentials Craft Spinner looks good on any craft table and keeps tools within reach. The entire unit takes up only eight inches of space! 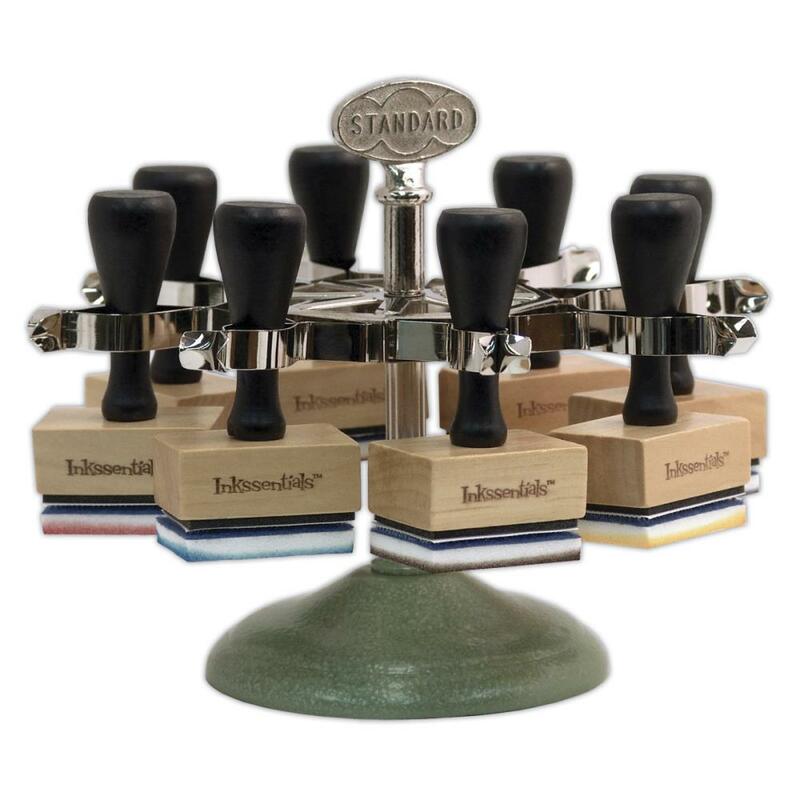 Features a spinning carousel with eight metal clips to hold ink tools in place, a fun, retro, and nostalgic look, all metal construction with sturdy, weighted base, holds other small craft products, and easy assembly. Spinner measures: 8"W x 7"H x 8"D.